ProviderScience was founded by healthcare software entrepreneur Mark Wilgus in 2015. Mark previously co-founded and led Supplylogix, an innovator of applying clinical data to improve healthcare supply chain efficiency, until its acquisition by McKesson Corporation. ProviderScience was born from the idea that clinical data can be transformed into credible, actionable guidance for scheduling healthcare providers. Today ProviderScience is a leading developer of workforce planning, forecasting and scheduling software for healthcare providers and their support teams. We expertly orchestrate clinical and administrative data, curated labor standards, patent pending forecasting technology, and experiences to help our healthcare clients deliver better and more efficient patient care. We know how to integrate with a wide variety of clinical and administrative sources to provide a comprehensive view of healthcare work. We know how to identify and develop labor standards that are both meaningful and credible to our healthcare providers and support teams. We know how to transform data into accurate forecasting that informs both long range workforce planning and scheduling to a 15-minute interval. 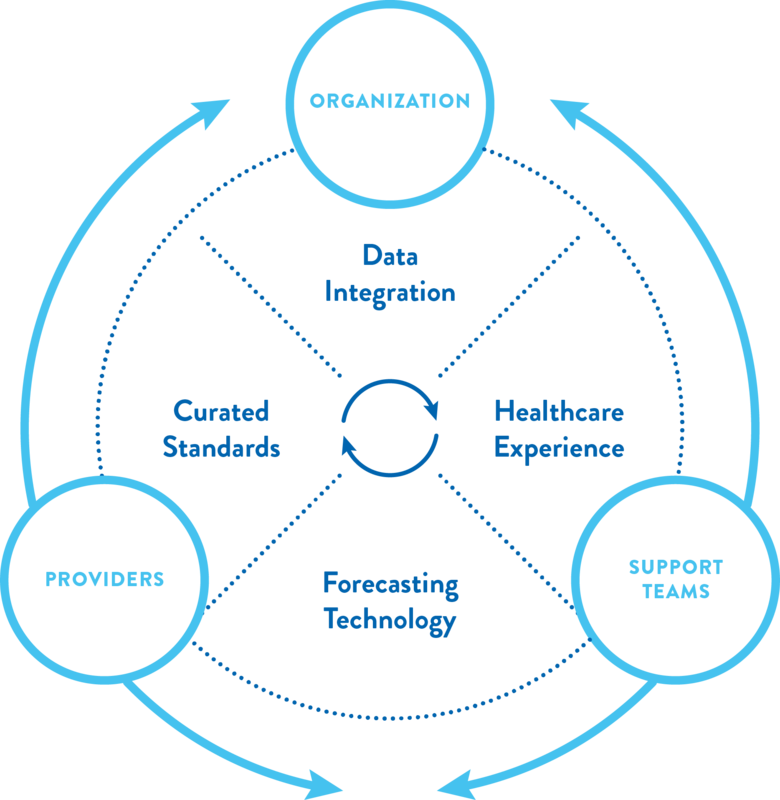 We know how to develop and continuously improve a software platform that is solely designed for healthcare enterprises, providers and support teams. Our leaders blend an entrepreneurial spirit with software engineering, healthcare operations and continuous improvement domain expertise. We’re not just building products, but a company dedicated to success through helping our customers achieve their own goals. We are solving complex problems on behalf of the people that provide care for patients. Since all of us are patients, we believe this is important work. Would you like to join and help us improve healthcare? We move fast, we collaborate, we make decisions, and we take care of our customers. We are a product-led organization who crafts relevant, easy-to-use software that is changing the way healthcare works, one person at a time. We’re building a strong team of bright, creative and curious people who are motivated to work hard during business hours … and then leave work and enjoy the rest of life. We are always interested in meeting exceptional full-stack .NET developers and savvy account managers with healthcare experience. Culture matters to us and is a key part of our recruiting process. If you think your experience, skills and personality would be a good fit for our team, please connect with us.